Less than 24 hours after following his record setting 63 with a painful 80, the 21-year old Holywood star fired a three under 69 to go into the final round with an outside chance of victory on four under par. It could have been even better for the young Ulsterman, whose third round charge was checked by a double bogey six at the 17th, where he caught a gust with his second and ended up against the wall that borders out of bounds. But after a birdie on the last, McIlroy is hoping that he can go low today and possibly repeat the final round brilliance of his winning 62 at Quail Hollow three months ago. 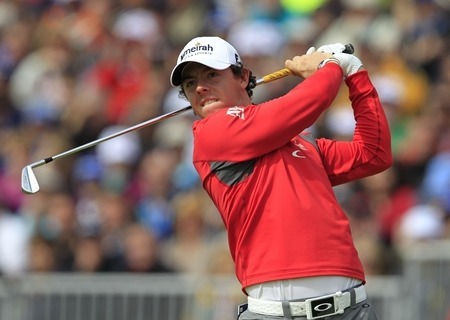 McIlroy said: “It all depends on what the lead is going into tomorrow but if I am within five or six shots I feel I’ve got a really good chance because I know what I’m capable of around this golf course and I know what I’m capable of in final rounds. “It was great to come out and play nicely the way I did there today. I am a bit disappointed with 17 obviously, but it was a good three on the last. 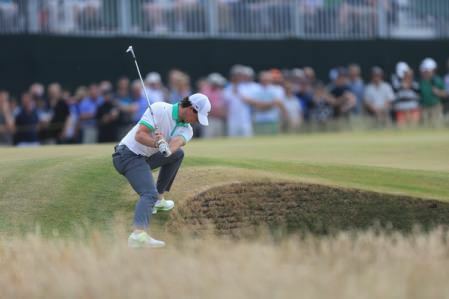 McIlroy birdied the fifth and bogeyed the sixth before picking up four birdies in an eight hole stretch from the eighth to move into the top ten on five under par. 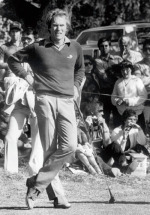 Heading for a potential 67 or better, his title hopes suffered a blow at the intimidating 17th, where his 175-yard approach with a seven iron flew 210 yard on a gust of wind and finished just a foot from the wall on the other side of the road. Impeded in his backswing, he was unable to chip directly at the flag and could only knocked his third shot across the 18th tee to the run off area behind the green from where he chipped to eight feet but missed the bogey putt. He said: “I feel as if I could have been a couple closer to the lead. Obviously I was playing great up to 17. I hit a good shot on 17, just got a gust of wind that completely switched. Upbeat about his comeback from Friday’s woes, he said: “I think it would have been very easy to let yesterday’s round sort of linger, and I just completely got it out of my head and just went and tried to shoot a good score today. So I think just the response to what happened yesterday was probably the most pleasing thing. “To shoot 69 out there is a pretty good score, and to shoot 63 on the first day, I know what I’m capable of. “Depending on what happens tomorrow, I’ll probably look back on the week and say, if I could have just made that 80 a 75 or whatever.